Sign up for a discount today! If you’re anything like me, you like a deal here and there. This website will not disappoint. You can find any of the latest trends for a great price. I don’t love spending a lot of money on things I know will not be in style in 6 months to a year. Or maybe they will, and I luck out to have paid next to nothing for it. Oasap, is the best website for super cute, inexpensive, fun things. Everything from bags, scarves, clothing, shoes, and accessories. This is the best hidden treasure I have found in a long time. Don’t miss this great sale! If you’ve never been on Couture Candy.com, check it out. They have brands like, Splendid, Joie, Nanette Lepore, BB Dakota, AG jeans, 4LoveandLiberty, and many more. This online shop reminds me of my old boutique in Omaha. I love it! and miss it. Click here to get access to the sale. I’ve also posted some of my favorite items from their site. Ready to update your look for the new year? 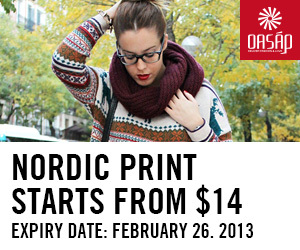 Then it is time to catch the fever, as in the ModCloth Cabin Fever Sale. For a limited time you can get 70% off great styles from ModCloth during their annual Cabin Fever Sale. Supplies are limited so grab your favorites today before they are gone! Fabulous sale alert! Tea Collection’s semi-annual sale starts today, December 26th, and their entire fall collection is on sale with discounts of up to 50% off! No promo code required. Browse Tea’s fall styles to find adorable outfits! Stock up on comfortable and durable pants for boys. Mix and match girls’ tops and bottoms for endless outfit combinations. 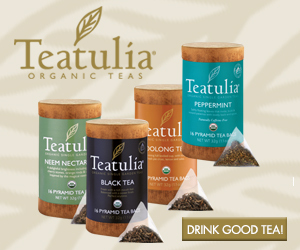 Hurry, don’t miss your chance to take advantage of this great sale from Tea Collection! Happy Shopping! The long boho-chic skirt has been around for some time, made popular by style setters in the 70’s. Something about it seemed so easy, breezy, cool, so laissez-faire. The maxi skirt is headed straight for the “new classics” territory. They have the potential to supplant your favorite pair of boyfriend jeans to be the piece you grab in your closet when you’re stumped about what to wear. They work for date night, errands, brunch, and even summer cocktail parties. Grab a basic version in black or grey. Every women of any shape and size can wear a maxi. It makes every woman look leaner and a petite woman look taller. Try pairing your maxi with a fitted blazer and a pair of flat sandals. Wear some fun jewelry and a basic tee and you’re good to go. I found some great, inexpensive ones at Old Navy and Marshalls. You can also access ShopBop, through our website on goodnewssantabarbara.com, and get free shipping for a really fun maxi. Be creative and make it fun! I’m loving the trend of colored denim! Color brightens up everything. It’s a wonderful way to spice up the ole blue jean. Some may think they are too mature for this look, but guess what, you’re not. The best way to add a mature element to a potentially adolescent look is by using a blazer. Blazers add structure and just enough polish to allow you to still be taken seriously while wearing your fuchsia jeans. If you thought colored denim was child’s play, think again.